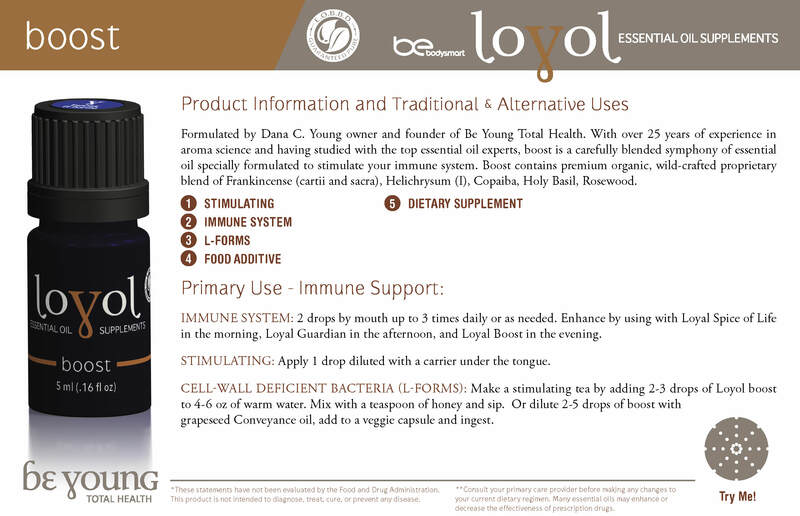 Formulated by Dana C. Young owner and founder of Be Young Total Health. With over 25 years of experience in aroma science and having studied with the top essential oil experts, boost is a carefully blended symphony of essential oil specially formulated to stimulate your immune system. 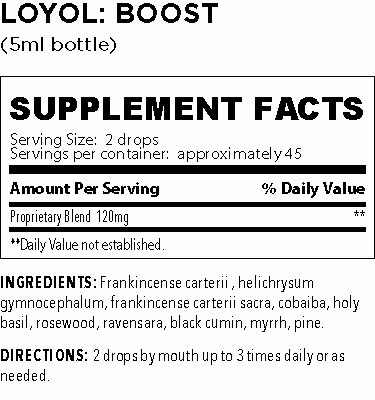 This blend has been time-tested and used by thousands of people who enjoy the marvoulous benefits of our Boost blend. Boost is the go to essential oil when you just cannot seem to shake the nasty bug that has you down and out.